So, two years ago… I had never even heard of washi tape. I had no idea of this wonderous thing. It’s a crafting game changer. If you DON’T know what washi tape is… shame on you! Just kidding. It is basically decorative scotch tape. Different brands are made from different materials. Duct tape brand makes decorative tape. Some off brands make plastic tape that is decorative. True washi tape is easy to put on and remove. It tears like paper. 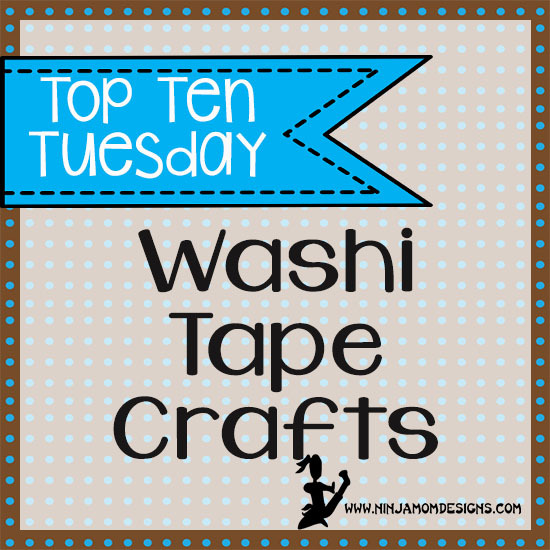 Here are TEN fun ways to use Washi Tape!!! How do YOU use washi?? ?